Fifi Box proves eyelash extensions for holiday are amazing. Fifi Box's travel essential completely cuts down the need for makeup. When you’re heading on a tropical beach holiday, there are some items that are non-negotiable. Passport, sunscreen, bikini, a fabulous floppy hat, a good book… and eyelash extensions. Don’t believe us on that last one? Allow Fifi Box to convince you. 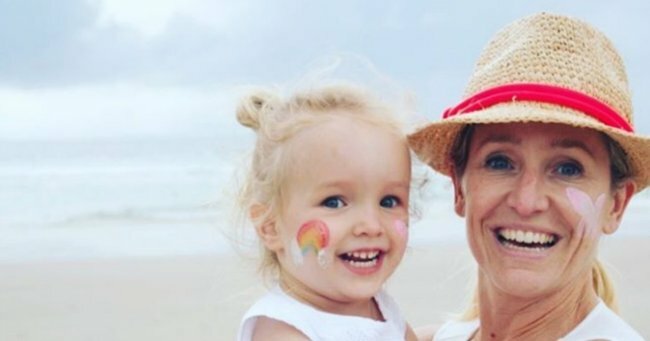 Having just returned from a trip to Fiji with her three year-old daughter Trixie, Box’s Instagram feed is filled with snaps of days by the pool, glorious beach sunsets and doughnuts, all made better thanks to a certain pre-holiday beauty treatment. Watch: Why face mist deserves a spot in your travel bag. Post continues after video. “I’ve just spent two weeks with absolutely no make-up on and loved every second of it!” she captioned a sneaky selfie. We feel you on that, Fifi. I’ve just spent two weeks with absolutely no make-up on and loved every second of it! I finally tried eyelash extensions and never even felt the need for a scrape of mascara. Thankyou to the talented girls at @lashdesign for giving me the lashes my parents forgot to deliver on! Typically lasting four to six weeks, eyelash extensions are like semi-permanent falsies that make eyes look bigger and fresher – as well as making you look instantly put-together without the need for a scrap of makeup. Box is not alone – Zoe Foster Blake is a big fan of eyelash extensions as a major time-saver, particularly for holidays and hers done recently before she jetted off to Europe with her family. Days spent by the water, cocktails at any hour, the ability to go a whole day without putting pants on, actual beach hair and fluttering eyelashes that would make a butterfly jealous… Fifi, can we come with you next time?